Includes attenuverters on both Main Outputs to allow for fine tuning of output signals, a slew section with two input sources(one being the clocked waveshaper), White Noise output, A very unique SUM output which allows for a mixture of ALL FIVE sampling cells to create trills, strange Legato effects, and interesting re­ construction of the incoming signal. To put it lightly, The Telephone Game can crate a multitude of different modulation effects And it is EXTREMELY SIMPLE TO USE. *just give it a clock!….you can either use the built in white noise as your Signal Source, or plug in any CV or Audio in your system. 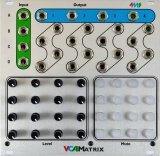 Then you have the option of taking the CLOCK OUT from the Telephone Game and driving your sequencers, clock dividers, and envelope generators/vcas IN TIME with all the wonderful random voltages the Telephone Game creates. 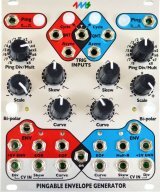 (highly recommended) OR use it without any other clocked modules and tune in to the wavy world of "science sounds". A BASSLINE, AN ACID MELODY, A Weird Flutter of Notes A FILTER SWEEP CV, A CV for PWM, or maybe a CV for a VCA. you decide! IT CAN ALSO BITCRUSH….just crank your clock to Audio rates and you have an analog bit crusher. And you can also WAVESHAPE any incoming CV or Audio using the CLOCK and the MORPH output. 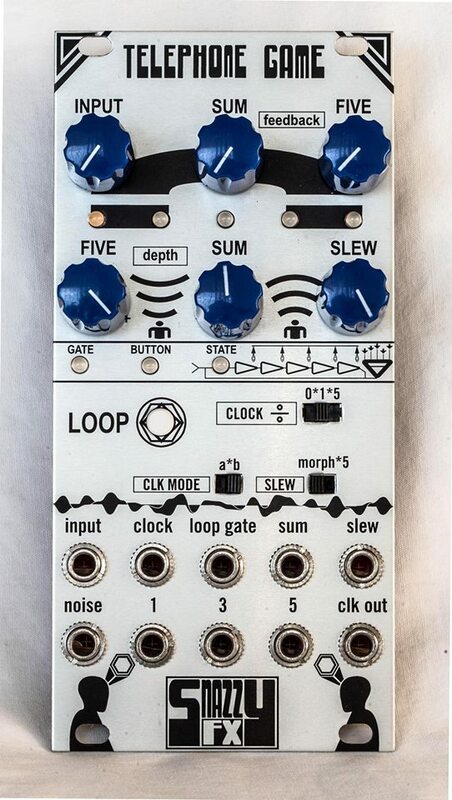 CV Master Module..send clock to sequencers and dividers­use random voltages in time with all other beat driven sounds. 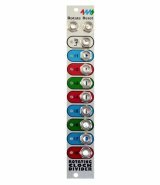 With 5 Outputs, you can drive many modules and control them all with only a few knobs. Flip the clock divide switch and hear your entire track stutter and skip. VERY FLEXIBLE….FIND NEW USES FOR IT EVERYDAY! SUM MODE­­­allows for trills, fast note runs, and slurred patterns. MULTIPLE CLOCK AND SAMPLE MODES The various modes allow you to SYNC your sequencers and dividers to the Telephone Game at various ratios. You can make anything from CASIOTONE ACID CHURCH MUSIC to VERY SLICK SOUNDING TECHNO. OR USE IT PURELY AS A VERY FLEXIBLE AND POWERFUL RANDOM VOLTAGE MODULE. 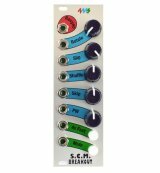 For "regular" sample and hold uses, simply use the built in white noise, and take your voltages out from stage one. turn feedback off and get your "science fiction computer" sounds. Or explore the limits and come back with some beautiful opera music.